For the last three years, I focused on creating and expanding the first roleplaying game from my company, Shadow of the Demon Lord and I’ve managed to publish over 170 titles, aided and abetted by some of the best writers, editors, proofreaders, graphic designers, and artists in the business. I intend to continue to support this game with additional releases by adding titles to the growing lines of Monstrous Pages, Lands in Shadow, and other popular series. Plus, we’re going live with Occult Philosophy as a Kickstarter campaign in November. So rest assured, Shadow of the Demon Lord is here to stay. I have more stories, more options, and more bizarre, mind-blasting content for you and should for years to come. Before I launched my company and the game many of you have come to love, I worked as a game designer for Wizards of the Coast. You can find my contributions in three editions of Dungeons & Dragons such as Elder Evils and Tome of Magic for 3rd edition, countless books and articles for 4th edition, and in the Player’s Handbook, Dungeon Master’s Guide, and Monster Manual of 5th edition, not to mention Xanathar’s Guide to Everything, Mordenkainen’s Tome of Foes, and the forthcoming Guildmasters’ Guide to Ravnica. I have dabbled in Greyhawk, explored the wastelands of Athas, walked the tortured lands of Faerûn, and hung a shingle in Eberron. Heck, I even played around in Gamma World for a bit. There’s D&D in my DNA and the game will always have a place in my heart. For the last year or so, I’ve been thinking about making an unofficial return to Dungeons & Dragons. Yes, I have continued to contribute to the game here and there, but banging around in my head are ideas that might never see publication in an official rulebook. Thanks to the Open Gaming License, I don’t have to wait for the perfect project on which to foist my sinister designs; I can publish them myself. Under the Max Press imprint, Schwalb Entertainment will publish a series of short, focused supplements to add a bit of gloom to the otherwise sunny and upbeat worlds of D&D. 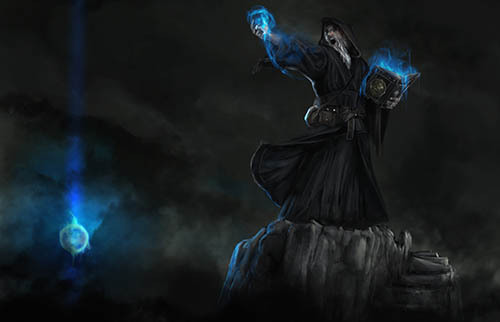 Starting with the Blasphemies of Bor Bwalsch, which add more than twenty wicked spells to the game, Max Press will continue by producing new options for the various character classes and find other ways to inject a dose of darkness into your games. Whether you want to play a character who walks in the shadows, binds demons to your dark will, or commune with alien entities of staggering power lurking just beyond the bounds of reality, Max Press has what you need. 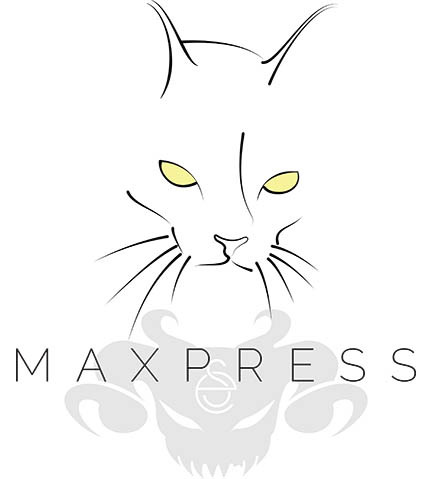 And if you’re a GM looking to spice up your games with a few nasty surprises Max Press promises to deliver the goods. You have questions. Here are some answers. Does this mean you’re giving up on Shadow of the Demon Lord? Hell no! I still plan to release supplements for the game at least once a month going forward and might increase the release schedule to two or more. Furthermore, the Kickstarter campaign for Shadow of the Demon Lord: Occult Philosophy launches November 12. Based on how the campaign goes, we could have oodles of content coming for the game. Will Max Press support older editions of D&D? What about different versions of D&D? Not at this time. My focus is on bringing the darkness to D&D in its current form. As for OSR, Pathfinder,and other variants, we’ll see! While I intend to explore sinister themes and all that, Max Press aims at offering content to every fan of D&D and so the material will remain firmly PG-13. If you want nastier stuff, SotDL is the game for you. Like most releases for Shadow of the Demon Lord, these are priced to buy. I want to keep these products bite-sized so that you can grab them all without breaking the bank. We’re aiming to release the Blasphemies of Bor Bwalsch in November. What’s up with the Cat? I named my imprint after my late, great cat Max. He was the first cat to join my wife and I, and I liked the play on Max. Press from AD&D. I’m a creepy cat man. Don’t judge me! Shadow of the Demon Lord? What the heck is that? Oh my sweet summer child… go here. In 2014, Robert J Schwalb founded Schwalb Entertainment, LLC to publish tabletop games, beginning with the critically acclaimed Shadow of the Demon Lord. Since its release, Schwalb Entertainment has published nearly two hundred products including adventures, character options, settings, and more. Schwalb Entertainment is based in Murfreesboro, Tennessee (home of the world’s largest cedar bucket!). For more information about Schwalb Entertainment, send a query to info@schwalbentertainment.com. Schwalb Entertainment can be found on Facebook and Twitter.